Find My Workspace lists over 95% of the business centres market in Carnforth. Simply click Request Quote to check pricing for one office, or Add to Basket for multiple offices. 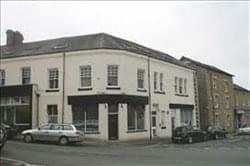 Office available in the heart of Carnforth. These serviced offices come fully furnished, on flexible and with access to a meeting room and training room. The centre is also fantastic for connecting to local transport services. Free on-street parking is close to the centre and kitchen facilities are included.